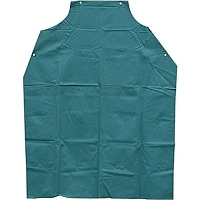 Lightweight virgin vinyl apron designed for light duty applications such as cleaning, maintenance, assembly and some chemical handling. Size: 35" x 45". 8mm thickness.